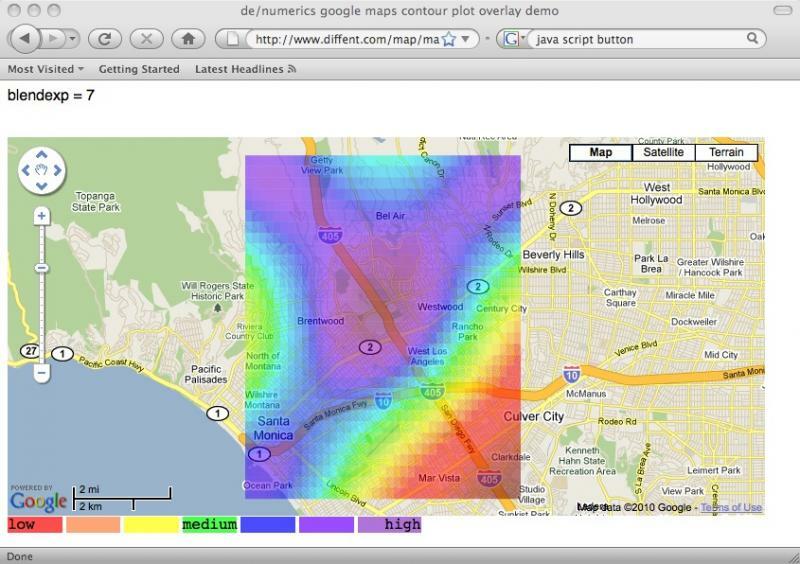 Click here to go to our heatmap web service. Example overlay generated on Google Maps. This page is a shortcut to our heatmap web service. Have a lot of data and want to make predictions from it? Try NeuroSolutions NeuralExpert. Why settle for Excel regressions when the real world is much more complicated? The NerualExpert is as easy to use as Excel and is compatible with Excel. Large data sets? Use the number crunching power of your NVIDIA graphics card. Get a gaming systemand have a desktop supercomputer for a fraction of the cost of a traditional supercomputer. You can do heavy duty supercomputing on the road, too! Look for a laptop with the NVIDIA GTX260m or GTX280m chip in it for maximum speed with the NeuroSolutions CUDA add-on. Copyright Differential Enterprises. All rights reserved.